As California goes, so goes New York? Now that a deal has been reached in California on a $15 statewide minimum wage, the question now is will New York follow suit? The answer could come as early as this week. Lawmakers in Albany have been hashing out final details for the annual state budget, which could be voted on this Friday. 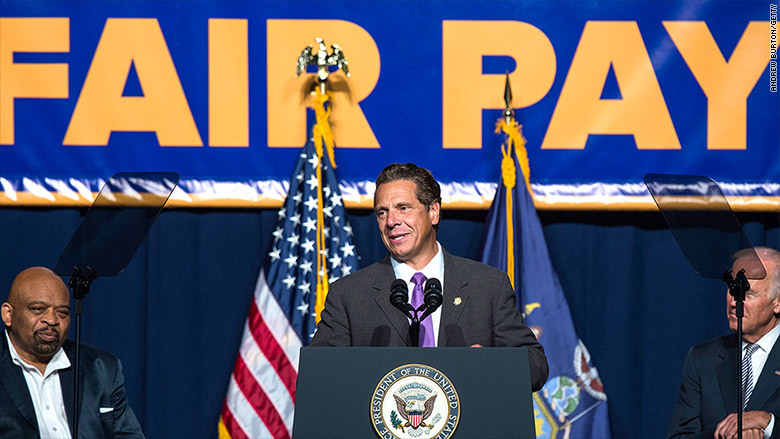 On the negotiating table is a proposal from Governor Andrew Cuomo to include a 67% increase in the state's minimum wage to $15 from $9 currently. But as of Monday evening it wasn't clear whether a deal could be struck in time to include in the budget. If it doesn't make it in, there's still a chance the proposal could pass separately by mid-June. Those who support an increase highlight how a $15 minimum wage could help the overall economy. By increasing wages for those who need it most, they will be less likely to quit -- reducing turnover costs for employers. And the low-wage workers -- along with their colleagues who also may get a pay bump -- will spend the extra money in their local economy, which in turn can boost demand and help create other jobs. But those who oppose the hike worry about the effects on businesses in struggling economies -- for instance in upstate New York cities such as Rochester and Syracuse. Less concern is expressed for the economies of downstate New York -- primarily New York City, where the cost of living is high and job growth has been strong. "Our chief priority is that there's a recognition that the upstate economies and the downstate economies are very, very different," said Greg Biryla, executive director of Unshackle Upstate, a coalition of business and trade organizations representing roughly 70,000 companies. Some business owners look at a $15 minimum wage as costing closer to $18 an hour, since they have to add about $3 to pay for unemployment and disability insurance, plus workmen's compensation in some industries, said Howard Nielsen, owner of Sticky Lips BBQ in Rochester, NY. "I speak to a lot of people in my industry and we're all very, very nervous about it," Nielsen said. If a deal is reached in Albany for a $15 minimum wage, it would likely be implemented more slowly than Cuomo originally wanted, which was by 2018 in New York City and by July 2021 everywhere else in the state. Among the possible changes rumored to be under consideration: the minimum wage wouldn't hit $15 in New York City until 2021; and it would only hit $12.50 that year in upstate New York, according to a Democratic legislative aid in the state Senate. 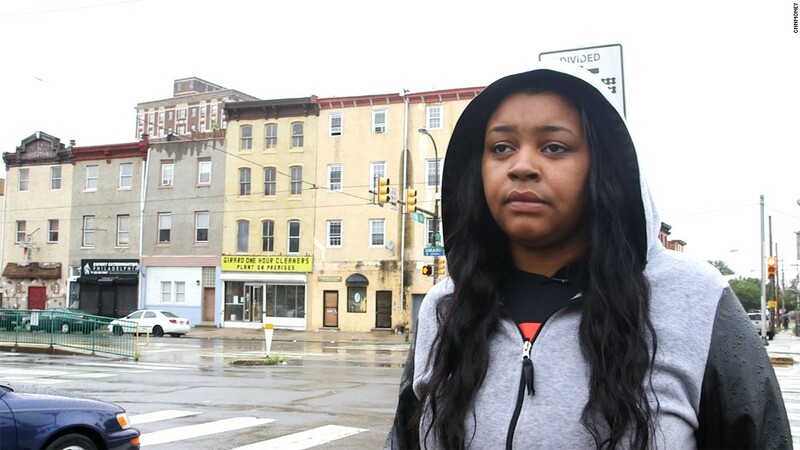 New York and California aren't the only places moving toward a $15 minimum wage. Both New Jersey and the District of Columbia may include a $15 minimum wage proposal on upcoming ballots. And several U.S. cities and counties, including Los Angeles, San Francisco and Seattle, have already approved a $15 minimum. New York state already requires large food franchises to move toward paying its fast-food workers at least $15 per hour. And Governor Cuomo recently mandated that the minimum for state university workers be the same.